How to ensure what you teach kids today is relevant tomorrow. When most readers of this were in school, any financial education from teachers or parents probably involved things like how to write checks and balance a checkbook – things that are largely useless in an increasingly tech-based world. In other words, even for those who received education on how to be financially successful, many of those lessons were only useful for a time. Does that make financial education pointless in a tech-based world? How do you teach kids how to manage money when you have no idea what money management will look like in ten years? How to manage money. The core lesson of spending less than what’s earned is still as critical today as it was in the past. Concepts like “account balance” and “overdraft fee” are still used. What’s changed is the practice of balancing a checkbook. 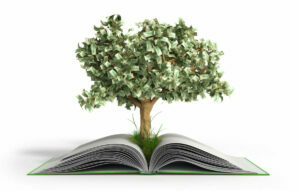 Even teaching how to read monthly statements is becoming outdated with paperless billing, apps and SMS text balances. Budgeting. Maintaining an accurate household budget is just as important now as it was before there were computers. Monthly e-statements are great, but they show transactions – not the big picture of where all the money is going. Expenses still need to be categorized, counted, and compared to income. Now, it’s just easier with programs that do all the math for you. Borrowing money. Kids need to be taught the basics of what happens when debt is taken on, so they are better equipped to choose loans and lines of credit that help instead of hinder. That means building a basic understanding of interest, fixed versus variable payments, fees, and penalties. Just don’t bother teaching them what to wear when applying for a loan at the bank or how many days it takes to get approval. Credit. The credit score is the cornerstone of how credit works, and how that number is calculated is the same as it was when the formula was created in 1956. Credit reports are still used and by law, can only contain specific information – although how fast consumers can get their reports has improved with the speed of the Internet. However, one study found over half of high school seniors (52%) in Rochester, NY didn’t know they were entitled to a free credit report every year or that paying off debt slowly meant higher finance charges. Saving and investing. The first and biggest lesson here is just to teach kids to save. Teaching kids to set money aside is critical and it’s not being done enough. Following that, it’s still important to teach kids about yield versus risk, how assets work, and how to prepare for the future. Essentially, teach them that saving for retirement is important and that they should take advantage of options through their employer, but avoid telling them specifics about accounts. After all, plans like a Roth 401(k) didn’t even exist until relatively recently. 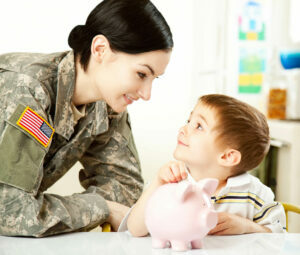 Consolidated Credit understands how important financial education for kids is to raising financially successful adults. That’s why they offer extensive advice on talking about money with your kids and teaching kids to budget. In addition, for parents struggling with debt, teach kids not to wait when it comes to asking for help and finding a solution. 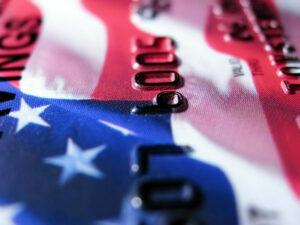 Call Consolidated Credit today at %%Phone_Number%% to request a free consultation with a certified credit counselor. 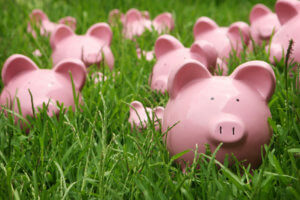 April is Money Month: How Much Savings do You Have?